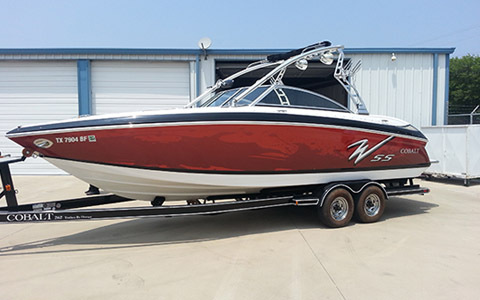 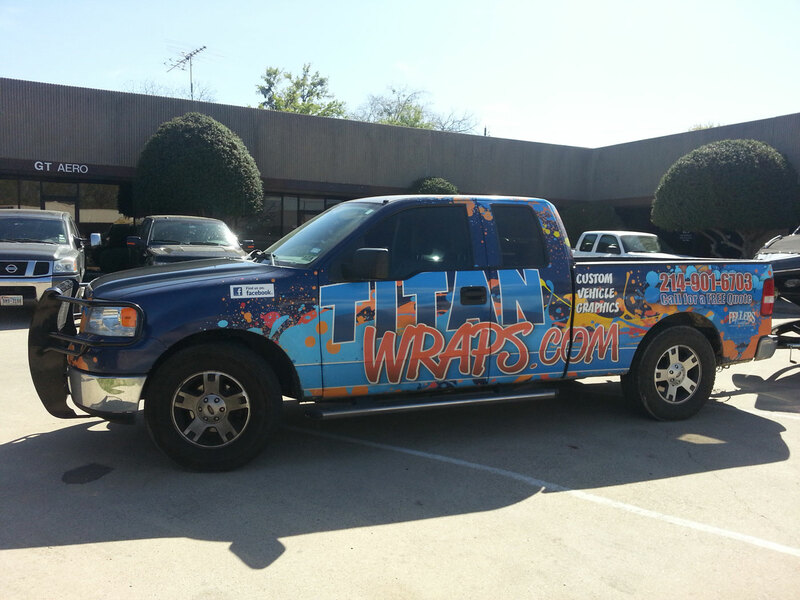 Titan Wraps designs quality and beauty into each and every stunning vehicle wrap we create. 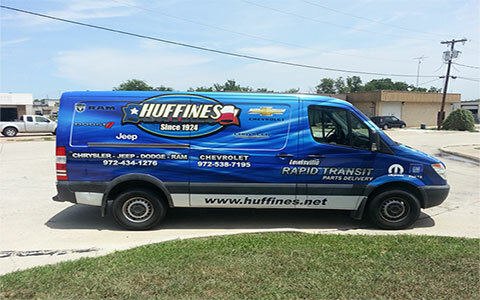 We’ve earned a reputation for delivering durable, affordable vehicle wraps featuring eye-catching graphics that enhance your marketing message. 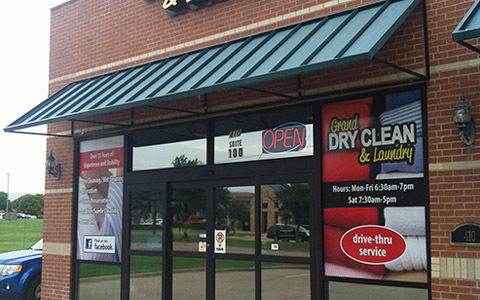 Equally impressive is our ability to provide marketing continuity by designing, printing and installing a multitude of products from retail graphics for your storefront windows to posters, banners, wall & floor graphics, murals and so much more. 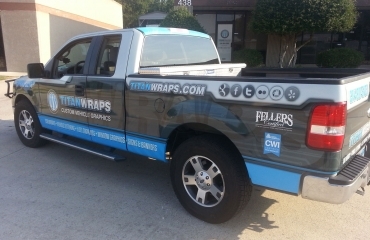 From Carrollton to Dallas-Fort Worth, Frisco to Lewisville throughout many other Texas communities, Titan Wraps grabs the attention of your target market. 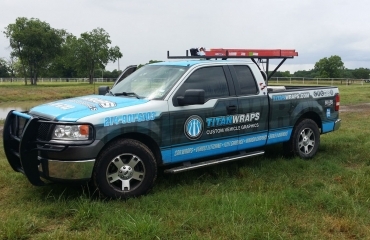 What many see as only a vehicle, Titan Wraps sees as a rolling billboard, a moving marketing tool that can brand your company in the minds of your customers. 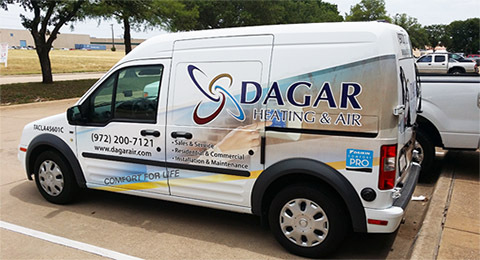 From service vans to work trucks, delivery vehicles to shuttles, company vehicles are on the go all day long. 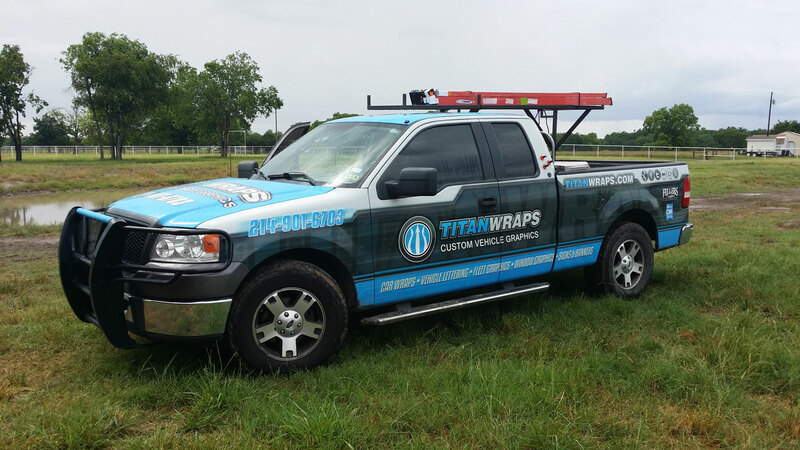 Vehicle wraps allow your company’s logo, contact info and marketing message to be seen by an ever-changing audience. 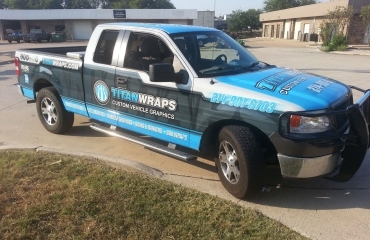 Every mile is a wasted opportunity if you’re not sharing your message with eye-catching vehicle graphics by Titan Wraps. 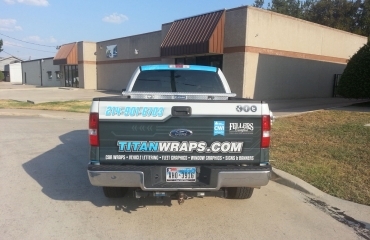 With computer-assisted drawing, computer graphics, high-resolution digital imagery and advanced printing processes, the professionals at Titan Wraps can create an image that converts a plain delivery van into a visual presentation of information, color and shape. 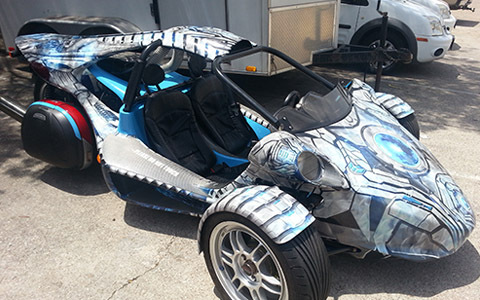 From a cityscape to zebra stripes, the possibilities are absolutely unlimited. 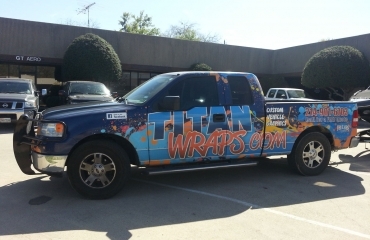 By putting this technology into the hands of talented graphic designers, Titan Wraps can transform your ideas into works of marketing art. 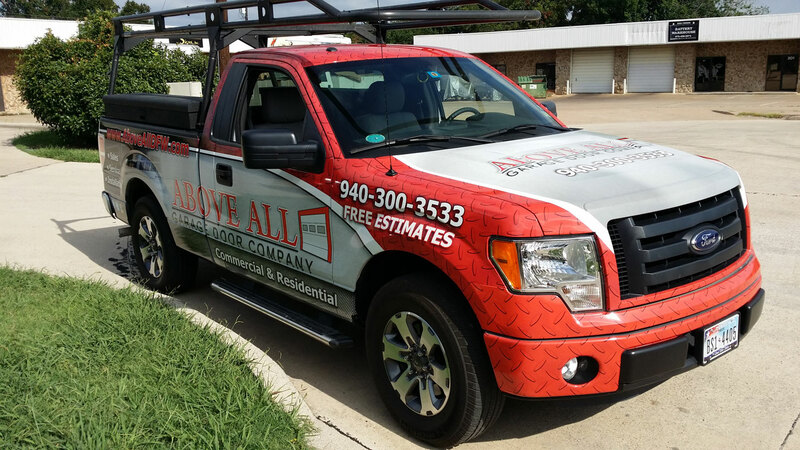 In a competitive marketplace, standing out isn’t an option: it’s a necessity. 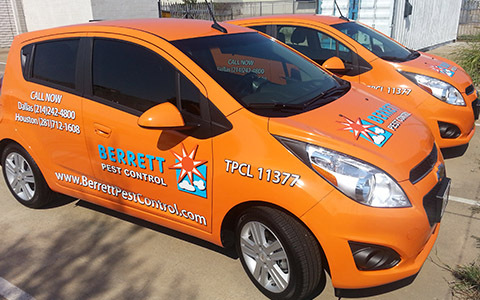 Often times, the company that gets the call is the company that has made a lasting impression. 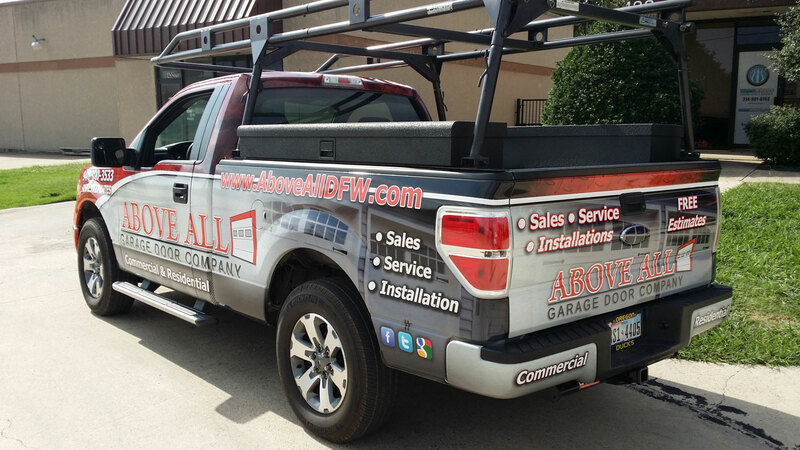 Nothing makes an impact like visual marketing. 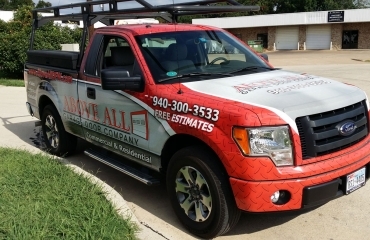 Consider the number of billboards, company signs, TV commercials and flies you see every day. 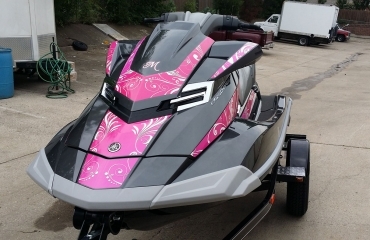 The mind holds onto whatever the eye sees. 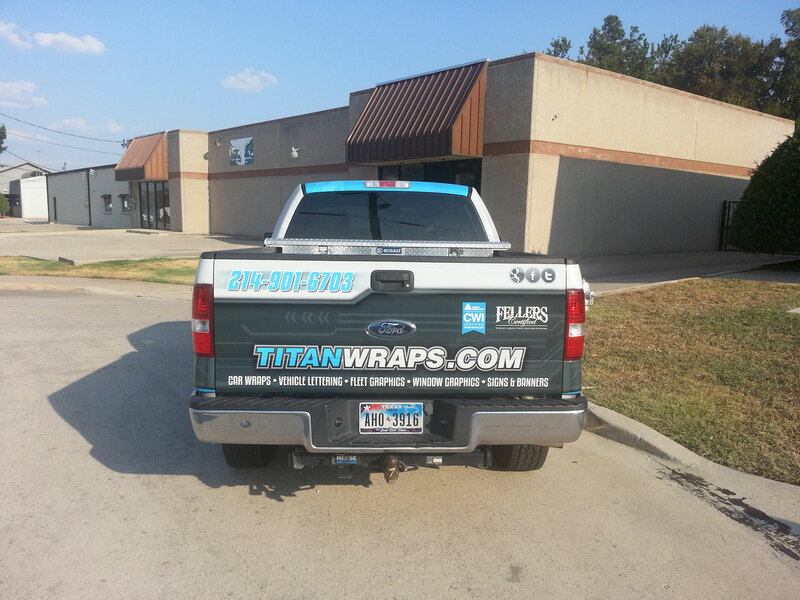 Vehicle wraps sets yours apart from typical company vehicles. 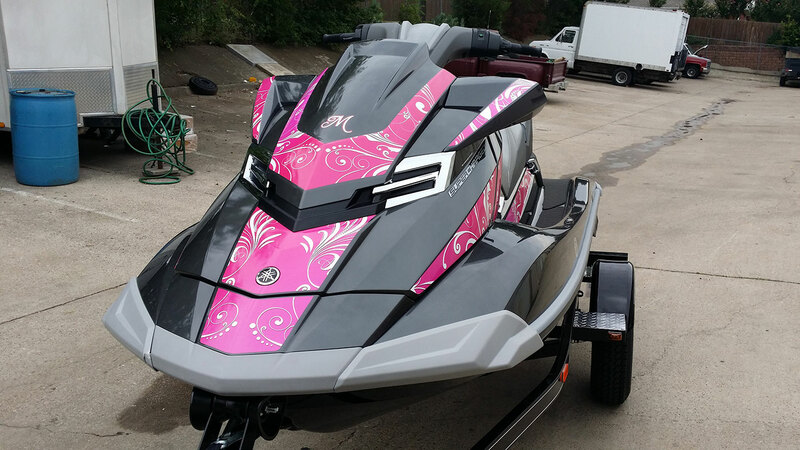 Sharp graphics and crisp colors make a visual impact that’s not easily forgotten. 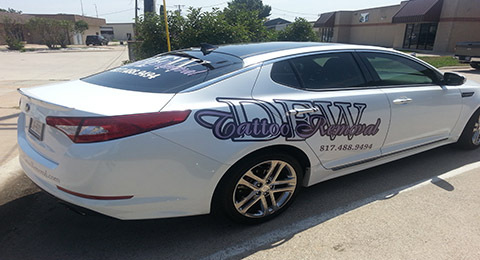 In addition to the aesthetic appeal there’s the issue of corporate identity to consider. Professional vehicle wraps let your customers know exactly who’s pulling into their driveway. 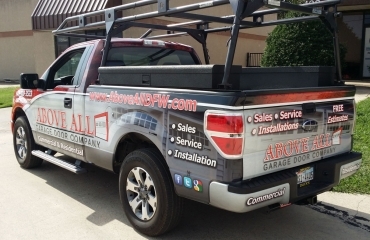 Your employees are identified before they ever exit the vehicle. 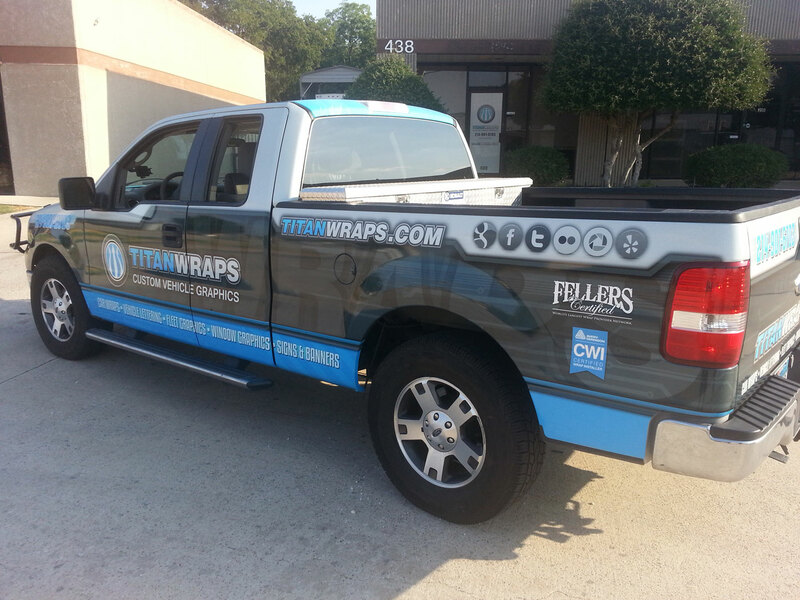 That’s peace of mind for your customers and a smart marketing tool all wrapped up in one vehicle! 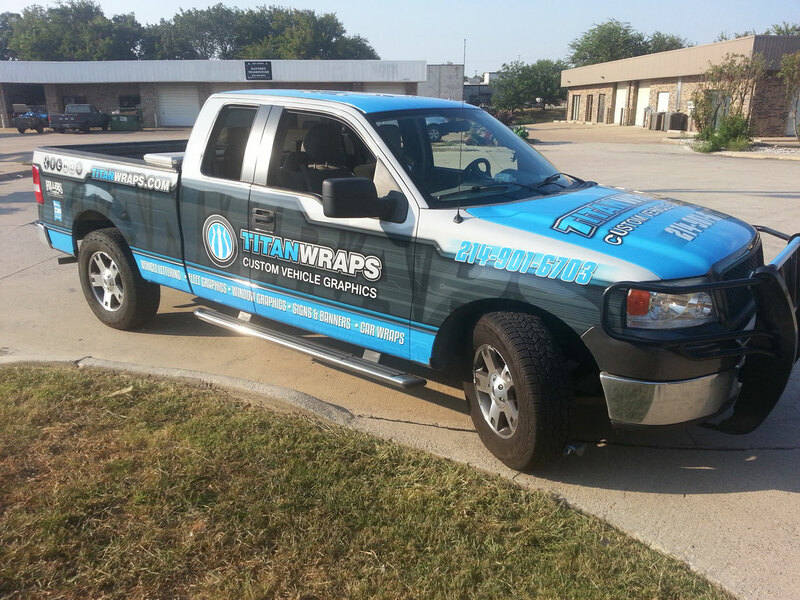 Titan Wraps offers services that make your company look good.